Staff Correspondent: Awami League General Secretary Obaidul Quader who was undergoing treatment at Bangabandhu Sheikh Mujib Medical University (BSMMU) has been taken to Mount Elizabeth Hospital of Singapore for better treatment. The air ambulance carrying Obaidul Quader landed at Seletar Airport in Singapore around 8:00 pm on Monday. Quader’s wife Ishratunnechha Quader and BSMMU’s Neurologist Professor Abu Nasir Rizvi have accompanied him. Earlier, the air ambulance carrying the AL senior leader left Hazrat Shahjalal International Airport for Singapore around 4:07 pm on Monday. Renowned Indian cardiologist Devi Shetty came to Bangladesh by a chartered place to observe the health condition of Obaidul Quader at noon. Quoting Dr Shetty, BSMMU Vice Chancellor Prof Kanak Kanti Barua told a briefing that the decision to take Quader abroad was finalised after the cardiologist examined him at BSMMU where the Awami League leader was admitted with blockages in three coronary arteries yesterday. Dr Devi Shetty reached Hazrat Shahjalal International Airport on Monday noon. Meanwhile, BSMMU preventive and rehabilitation cardiology division Chief Dr Harisul Haque and the university proctor professor Mozaffar Ahmed welcomed Dr Shetty at the airport. Earlier on Sunday evening, a specialized team from Singapore arrived in Dhaka to observe the physical condition of Obaidul Quader. 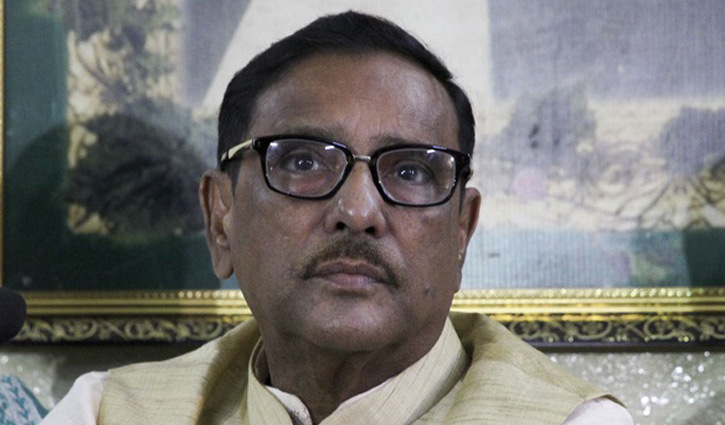 Obaidul Quader, also the road transport and bridges minister, was admitted to the CCU of Bangabandhu Sheikh Mujib Medical University (BSMMU) Hospital on Sunday morning following his breathing complications. Later, he was diagnosed with three blockages in coronary arteries.